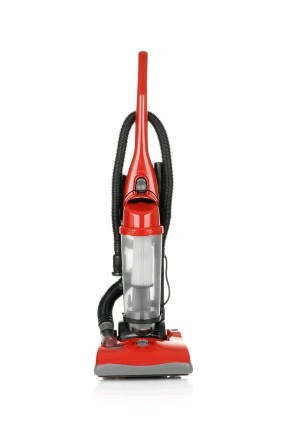 Vacuum cleaners are found in every household, but use more energy than you'd perhaps think. As trends towards ever-larger motors were seen, ecodesign standards and energy labelling was introduced for this product group in 2014. But what does this mean for your floor? Are new, lower-power vacuum cleaners up to the job? What do the new regulations mean? Are all the powerful models being banned? New regulations apply from 1st September 2017 - this is for new models entering the market. Vacuums already in the supply chain and shops can continue to be sold. There's no reason to rush out and panic buy though. The future is already here for the vast majority of the market - many vacuums available have been providing A-rated performance for under 900W even since 2015. The 900W cap should have the effect of removing the least efficient products from the market, as manufacturers continue to innovate. If you're due an upgrade, check out the Topten listings which cover the most efficient models at a range of prices. Are all vacuum cleaners covered by ecodesign standards? From 1st September 2017, a new label will come in, scaled from A+++ to D, to account for more efficient models available. 17.3 million vaccum cleaner units were sold in the EU in 2014, the first year that regulations came in to increase their efficiency - data from a report by GFK1 presented at the 2015 EEDAL conference showed that this largely resulted in a 'refresh' of the market with newer, more efficient products with better designed motors. Prior to this, the market largely contained models with higher input power. The GFK report showed that the market responded very well to the introduction of ecodesign standards. Initially the input power of vacuums was averaging 1500W in 2005 and projected to rise to 2300W by 2020. Bringing in the energy label saw the average input power on the market drop to 916W in the 2014-15 period, equating to an average energy consumption of 34.5 kWh per year for a vacuum purchased that year. A-rated vacuum cleaners have continued to increase their market share, and the prevalence of good quality models under 1600W has helped to disprove the misconception that higher input power means better performance - newer motors have been shown to be more efficient, generating less heat and noise. The market continues to evolve; all the vacuum cleaners except for one in Topten UK's 2016 updates were already under 900W for input power, with some as low as 700W. The jump to reduce the cap to 900W is an ambitious one, with significant energy savings possible, but the performance of vacuums since 2015 has shown that manufacturers have been more than capable of achieving the standard though excellent innovation and design. Coolproducts pages on vacuum cleaners, including 2017 position paper on durability requirements.